This EA has been developed for DAX (DE.30) M15 and is based on breakout of the Momentum after some period of consolidation. 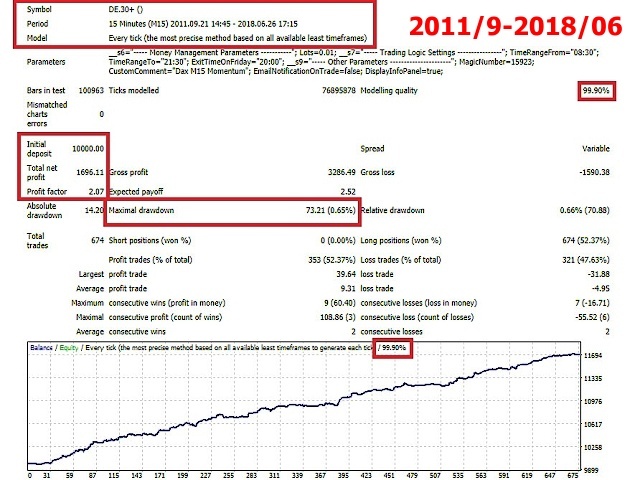 It uses Stop pending orders with fixed Stop Loss and Take Profit. 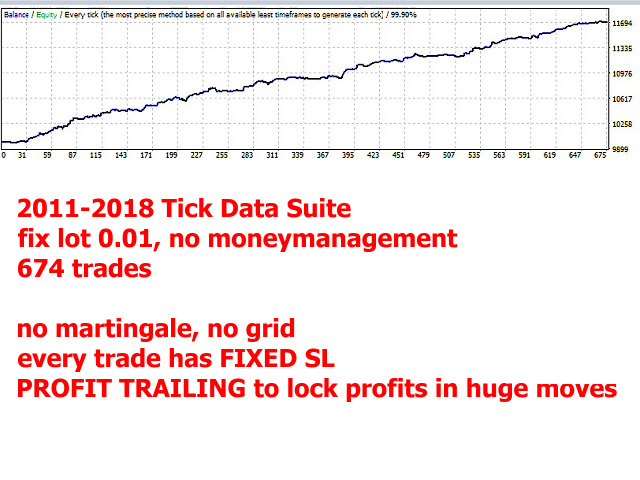 Also there is some profit trailing function to lock as much profit as possible from the big moves. In this strategy we are limiting signals from 8:30 am to 9:30 pm. 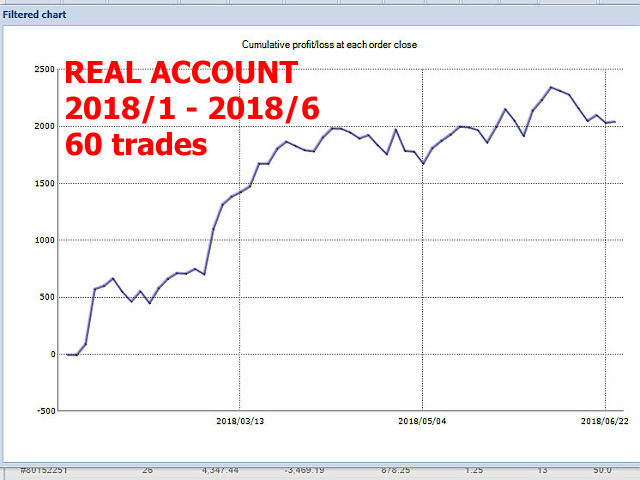 At 8:00 pm we are closing trading every Friday to prevent from weekly gaps. Everything is already set up for DAX M15. 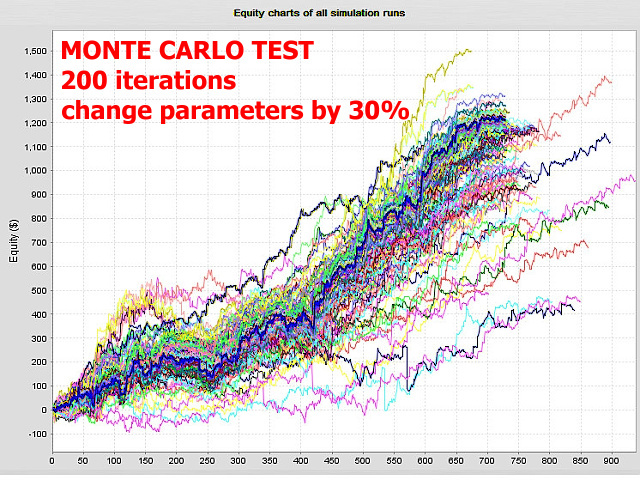 You need to set only the lotsize depending on the amount of capital in relation to the expected risk. MagicNumber = 15923 - trade ID. CustomComment = Dax M15 Momentum - custom comment in history.